If you name it, Texans have seen it. Blizzards, hurricanes, tornadoes, hailstorms and deathly heat make up a typical year of weather in the Lone Star State. However, the varying weather conditions can leave homeowners in a pickle when replacing or building a roof. If you’re in such dire straits, you’ve come to the right place. 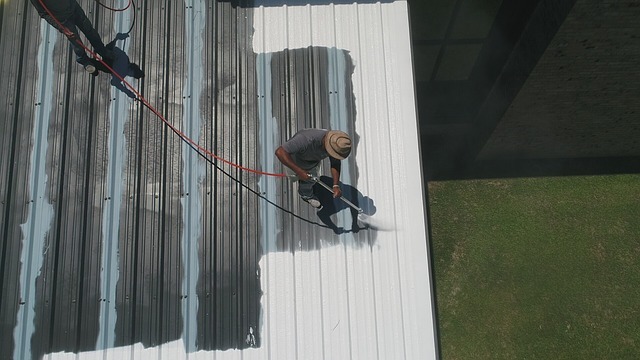 We’ll tell you the best roofing materials for all of Texas’s harshest weather here. 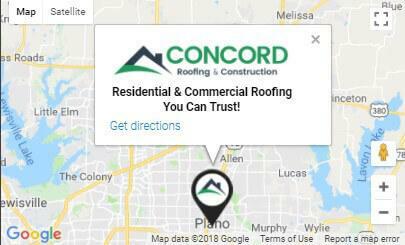 By the end, you’ll be a regular connoisseur in the art of roofing. Below, we’ve compiled the five best roofing materials for anyone living in extreme weather. Texans may especially appreciate the diversity many of these have to offer. Asphalt is the most popular roofing material on the market because it is inexpensive. Almost 66% of America’s homes have asphalt roofing. Fiberglass asphalt shingles are made with a fiberglass mat surrounded by layers of asphalt and coated with mineral granules. It offers better advantages in extreme weather conditions than organic shingles. If you decide to purchase fiberglass asphalt, be sure to only use architectural shingles. These shingles are much more durable and offer a longer lifespan than 3-tab roofs. Besides being cost effective, asphalt comes in a variety of shapes and colors, meaning homeowners have flexibility in choosing an appearance for their home. These are so popular they usually come with a 20 to 30-year warranty or more. If you do not have adequate finances for more durable roofing, asphalt is a decent choice, as certain types are wind-resistant and durable. If possible, purchase laminated shingles for the best durability; they are effective against wet weather and fairly resistant against the elements. Finally, asphalt is easy to maintain (in fact, they require the least amount of maintenance) and quick to install. When purchasing asphalt, always buy at the higher end. 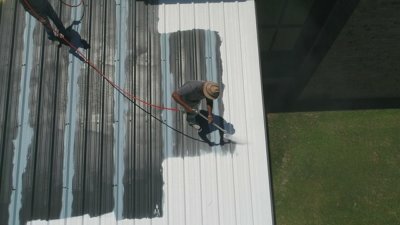 Inexpensive asphalt usually results in a roof that becomes damage from wind and storms. If possible, purchase shingles that meet ASTM1 standard D6432 to ensure they are durable. Keep in mind asphalt shingles also have shorter life spans than many other roofing materials. Cement and concrete tiles are made with concrete and cement, making them extremely durable. They were first invented in the nineteenth century in Bavaria, where cement, sand, and water were utilized to form tiles from concrete. Since then, they have become a common tile type. Cement tiles give the appearance of a tiled roof, but the cost is comparably cheaper. Additionally, homeowners can choose among many styles and color options, although “s” tiles may be better for weather resistance. Cement tiles are a fantastic choice for areas with extreme wind. A study funded by The State of Florida Division of Emergency Management demonstrated these tiles can withstand 120 mile-per-hour winds with no damage. Furthermore, hail damage tests showed no fractures when one-inch test balls were administered. Cement tiles are extremely versatile; they are great for snowy weather and are also fireproof, alleviating a common worry in Texas’s heat. Better than all of that is the lifetime on these roofs. They can stand for up to 100 years but typically will last the entire lifetime of the house. Cement tiles are very heavy. The foundation of a house must be extremely sturdy to carry the weight of these roofs. Always have contractors check that a house can withstand the potential weight of concrete materials. Metal has become more popular in recent years. It is some of the lightest roofing material available and it is both durable and sustainable. Recently, more variations have been made available for appearances. Metal roofing is extremely resistant to snow and ice formation; snow and ice will slide off the material, leading to a lack of buildup on roofs. Additionally, metal is durable. Some materials can stand up to 140 mile-per-hour winds. For those living in hot conditions, metal materials may also help lower air conditioning costs. Their reflective nature and high infrared emittance help keep houses cool. Finally, metal roofs are 100% recyclable at the end of their life (which is about 40 to 70 years) and are fireproof. In cold weather, some experts suggest metal roofing must be insulated properly in order for the house to avoid losing heat. Metal is also expensive, and the cheaper metal materials may dent under hail or other situations, although some materials are guaranteed not to dent. Metal also expands and contracts with the temperature and is prone to leaking. As a result, it’s imperative that the material is installed correctly. In general, tile is a popular choice for houses, but clay is particularly useful in regions with extreme weather. Nothing says “stylish” quite like clay tiles. Where once they were made from hand, machines now are responsible for manufacturing. “S” tiles are great for circulating air. The shape allows air to move below the roof, keeping the house cool. That’s why clay “s” tiles are fantastic for hot climates. Clay is also fire resistant. In fact, in the late 1600s, many cities promoted the use of clay tile to avoid fire damage. However, clay is also useful in windy, rainy areas. When installed properly, clay roofing can withstand winds over 125 miles-per-hour. They can also withstand heavy rains and cold weather. As plenty of archaeological sites have illustrated, clay is long-lasting. The life expectancy is generally about 100 years. Clay tiles are also environmentally-friendly, making them a sustainable choice for roofing. Like concrete, clay is heavy. It requires a strong structure in order to be supported. Clay is also weaker than other material types. 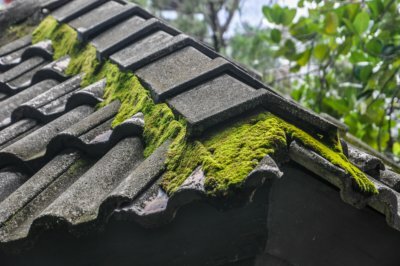 Stepping on the roof may break tiles, and although they are easy to replace, they are also expensive. Slate is yet another environmentally-friendly roofing material. Slate is quite rare in some areas, but it is an attractive choice for roofing. The material is simply exquisite upon the top of a house. Slate may be the most durable roofing material. It is resistant to wind and storms, hail and fire. It’s also less prone to leaks and moisture collection. 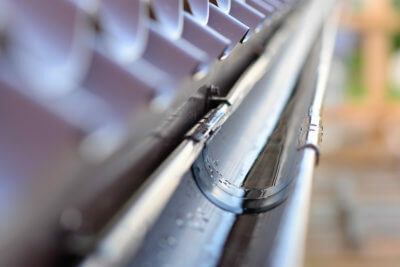 It is actually the recommended material for sloped roofs created with the main goal of waterproofing. Best of all, slate has a life expectancy of at least 100 years if it is installed properly. Because of how rare slate is, slate is expensive. Furthermore, slate is heavy, meaning a strong foundation is required to withstand its weight, and it can break if handled incorrectly. 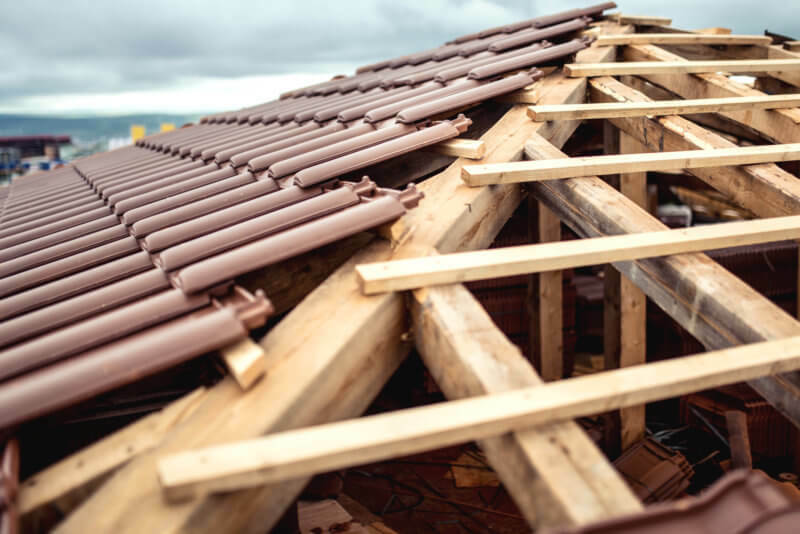 Whether you’re living in the Lone Star state with its fickle weather conditions or somewhere else, knowing the best roofing materials for extreme weather is a bonus. If you’ve decided, give us a call. Our experts are more than happy to give you a quote and answer any questions you may have about roofing. Beat the weather and get under a new roof today. 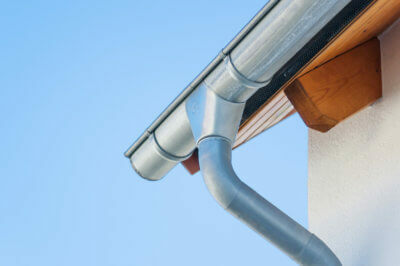 How Much Will Gutter Installation Cost?